The financially savvy amongst us are all too aware of how much tax we pay each month but it is also easily overlooked by a lot of people. And when it is, fines, charges or insufficient savings can leave those people out of pocket. Many of us are happy so long as we can see from our bank statements that enough money is coming in to cover the outgoings – we do not pay close attention to exactly where each transaction is going. Indeed, it can be somewhat depressing to see just how much of your income goes out as tax! In any case, this approach to your own accounts is okay whilst you remain fit and are earning a steady income. When it comes to planning for your retirement however, your approach and outlook should change because you are off the career ladder and things are a lot more settled. There’s no prospect of promotions or pay rises and you are probably not looking to expand your family but you need to know you are going to have enough money each month to enjoy retired life. 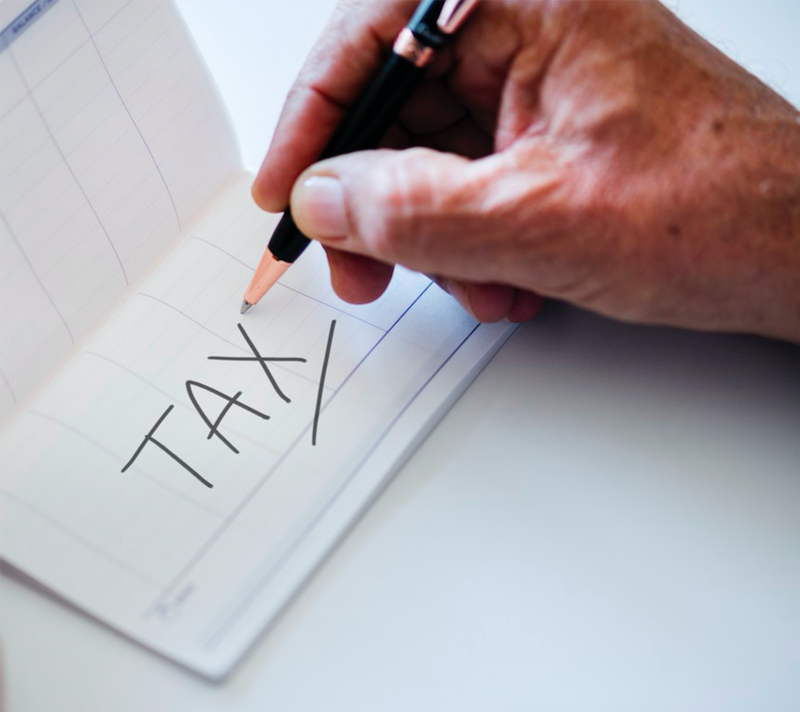 We have written about the importance of planning for your retirement before, so in this post we look at how much tax you will pay on your pension and the most efficient way to claim your pension. There are two broad types of pension: money purchase pensions and final salary pensions. Money purchase pensions are the most common so we are focussing on this type in this article. The amount you can earn on a state pension is rarely sufficient to maintain your current lifestyle. It is therefore worth seeing how else you can plan and provide for yourself in retirement. It is wise to set up additional savings accounts or investments to fall back on as well as your state pension, workplace pension and/or private pension. Depending on how much money you have in savings and which type of bank accounts they are in, interest from savings or pensioner bonds can provide a little extra money once you’re retired. In terms of lifestyle changes, if downsizing your property is an option it can be a really good way to decrease your monthly outgoings and maintenance costs (both financially and in terms of physical effort and responsibility). Purchasing investments such as buy-to-let property can be a good way of investing savings in a way that provides regular income through rent payments. If you are able to (and would like to) there is nothing to stop you claiming your pension and carrying on working or take up part-time work. The rules preventing people from doing this have now been scrapped, so it is fine to draw a state pension and carry on working. But there are tax implications to doing this which we look at in the next section. As soon as you reach 55 – or whatever the pension age for your pension pot(s) is – you’re allowed to take the money you have saved into your pension pot and use it. Prior to retirement, the amount of tax you pay depends on your total income for the year and your tax rate. When you take money from your pension pot, 25% is tax free and you pay Income Tax on the other 75%. Exactly how you choose to claim and use your pension is entirely up to you. You have five options, you can leave your pension where it is, withdraw all the money in one go, take cash out in chunks or take the tax-free cash and invest the remaining elsewhere. We discuss these in detail later. When you start to take out cash from your pension pot, 25% of each amount you take is tax free, leaving 75% of each individual amount you withdraw as taxable. If you take your whole pot out in one go, 25% of your whole pot is tax free which leaves 75% of your whole pot as taxable. The amount of tax you pay is based on the total of your ‘earnings’ which include your state pension and any other taxable income you have. The current tax free allowance is £11, 500 and this is not set to rise further. If the state pension is all you have to live on, you may not have to pay any tax on it at all. If you earn up to or more than £11,500 from your pension you will be taxed on this. If you take up work after retiring and claiming part of your pension, you could find yourself in a higher tax bracket, paying more tax. One way to avoid this is to defer taking your state pension. For each year that you defer your state pension, its rate will be increased by 5.8 per cent. So if it is feasible to do so, one option is to continue working for as long as you want to and then retire and draw your enhanced state pension later. Your tax-free personal allowance is likely to then cover most if not all of your state pension once you stop working. Whilst your pension pot remains untouched, none of it is taxed. By leaving your money in the pension pot you usually get a wide range of investment choices and can contribute up to £40,000 more to it each year. Once you start taking your pension, you can only contribute £10,000 a year. The first 25% is tax-free and the remaining 75% is taxed as income. This is useful for those who have a sub £30,000 pension pot and want access to the money to pay off existing debts. You can take cash as and when you need it, leaving the rest in your pension. When you do take cash though, a quarter of each amount you take is deemed to be tax free and the rest is taxed as income. With the remainder of the cash you can buy an income drawdown product or loan which is an investment that pays you income, but also continues to allow you to withdraw lump sums if you need to. An annuity pays you an income each year for the rest of your life until you pass away. For example, if you have converted £100,000 into a standard annuity, you will get a regular payments of around £5,000 a year. This would probably give you less overall than a drawdown product, but it provides security because it cannot ‘run out’ if you live a long time. If you pass away early, with some annuities your inheritors get nothing – rates vary widely so ensure you research and shop around before you settle. Regarding National Insurance Contributions (NICs), once you stop work you are no longer liable to pay NICs once you are over state pension age. It is worth checking your payslip to make sure that your employe has stopped deducting NICs once you are past pension age. And it is also worth noting that there has been debate over whether or not those over state pension age should continue to benefit from not having to pay NICs.